This is very promising. Such a planet produces predictions and that is just what we have. Whether we can narrow things down sufficiently to actually detect the planet seems a little unlikely. At least they are getting scope time to find out. We may simply get lucky. It will also be a long time before we go look also. What we do have is something somewhat expected but also known to difficult. That may well be the last real large object out there as well. Astronomers are discovering dozens of new exoplanets each year, but it's been nearly 170 years since we detected a new planet in our own solar system. 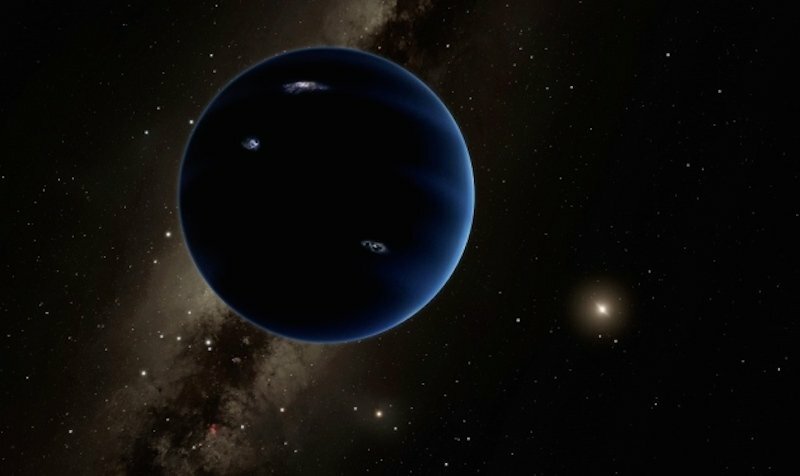 Now, a team of astronomers who originally sought to kill the notion that there is a ninth planet orbiting our sun has accomplished just the opposite. They have what they consider to be the strongest evidence yet for the farthest planet from our sun, informally called Phattie, but commonly known as Planet Nine. Planet Nine was first proposed in 2014, and it has been the job of Konstantin Batygin and Michael Brown — both scientists in the Division of Geological and Planetary Science at the California Institute of Technology — to essentially debunk it. "Our main goal at that point was to show that this idea is crazy," Brown told Nature News. Now, over a year later, Brown and Batygin are reporting the exact opposite — that a planet much larger than Earth is orbiting our sun 18.6 billion miles away. They reported their findings in a paper, which has been accepted for publication in The Astronomical Journal. If this ninth planet exists, the team suspects it's 10 times the mass of Earth and 200 times farther from the sun. At that distance, it would take the planet between 10,000 to 20,000 Earth years to complete one trip around the sun. Pluto, for comparison, takes 248 years to complete its orbit. At that distance, the possibility for life is near to none. Instead of life, you're likely to find a desolate ice ball with a gassy outer layer, like Neptune. No one has yet observed Planet Nine, but there are other methods of detecting planets besides sight — namely through their gravitational influence on nearby objects. In the mid 19th century, astronomers had observed bizarre perturbations in the orbit of Uranus which French mathematician Urbain Le Verrier said could be explained by the gravitational effect of another planet beyond Uranus. Thus, Neptune was discovered before it was ever observed. As it so happens, a similar case is what gave Planet Nine's existence away, the team reported. But instead of one Uranus, this times it's six different objects. Traipsing through space at the fringes of our solar system are thousands of small, icy bodies that make up what astronomers call the Kuiper belt. Six Kuiper belt objects in particular are misbehaving in their expected orbits, the team reported. "You can think of them like different hands on the clock," Brown told Popular Science. "They're all moving at different rates in the same direction, and every once in a while you look up and they are all in the same spot." This bizarre alignment was the first sign that something was herding these objects. To find out what that something was, the team turned to powerful computer models that could test different potential reasons for what was causing the bodies' unusual orbits. But that wasn't enough to convince them. If, in fact, there was a ninth planet, then it would also hold a gravitational influence over some of the many other thousands of objects in the Kuiper belt. After all, gravity is not prejudiced. One such influence would involve kicking objects into steep orbits. Compared to the eight planets which all orbit mostly in a flat disc around the sun, these objects would orbit nearly perpendicular to that disc. As it turned out, astronomers in the past had detected half a dozen or so Kuiper belt objects with this exact type of orbit, but no explanation had been convincing enough at the time to understand this odd behavior. A ninth planet could be the solution. "The fact that they're now marshaling two new, independent lines of evidence for a hypothetical planet makes their case even stronger," Greg Laughlin, who studies planet formation at the University of California, Santa Cruz and was not part of the research team, told Scientific American. Other experts remain unconvinced, however. "I have seen many, many such claims in my career," Hal Levison, who's a planetary scientist at the Southwest Research Institute, toldNature News. "And all of them have been wrong." One way to prove their theory holds water is to observe Planet Nine through a telescope. That's why the team is currently scanning the skies with one of the most powerful telescopes on Earth, located on top of Mauna Kea in Hawaii. Given its distance, spotting this potential planet will be extremely difficult but necessary, at least if we're ever to know of its existence beyond any doubt.